Reference USA Business Directory is a database of businesses across the United States. If you need to find information about a specific company, Reference USA Business Directory is a convenient, up-to-date tool. For example, if you want to find out the name and contact information for a company president or manager, you can use this resource to search by company name or product (to narrow your results, you can also enter a location). Similarly, if you know the name of a company executive but do not know the precise name of the company, you can search by executive name; you can also search by company phone number. Company listings include information such as: business demographics, management directory, nearby businesses, stock data, historical data, competitors report, and more. There is also the option to display a “corporate tree” that allows you to view the hierarchical relationships within the corporation; if viewing a local subsidiary, you can see where it falls within the overall corporation. 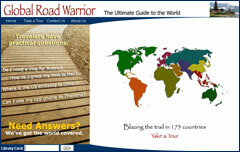 This resource includes quick and custom search options. 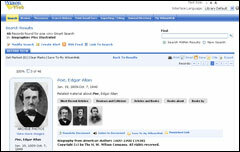 Custom search allows you to search more specifically. For example, you can limit your search by the gender of the company executive, the number of employees, the street address, etc. On the results page, there is a button labeled “map” that will allow you to view the company locations on an adjustable map (you can zoom in and out and choose between different views). 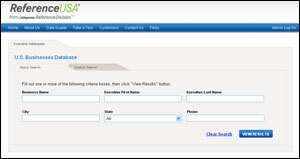 To access this tool, visit the electronic databases page on our website: http://www.ccld.lib.ny.us/db.htm and select “Reference USA Business Directory” from the list. LearningExpress library is a useful tool for people of all ages. A variety of both study tools and skill building exercises, designed to prepare individuals for a number of tests and career paths, are available to Chemung County Library District patrons, free of charge, via this electronic resource. School-aged children can access tools designed to improve their reading, writing, and math skills. For students preparing for college, the site has a variety of practice tests including (but not limited to): ACT, AP, and SAT. Individuals interested in getting their GED can access practice tests and study guides on the site. If you’re looking to start a new career, you might benefit from checking out the “Job Search & Workplace Skills” section of the site. This section includes information that will assist you in creating resumes and tips for successful job interviews. Another career-related section of this resource includes practice versions of tests required for licensing and certification for a variety of occupations. 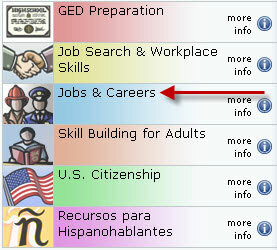 For example, if you are preparing for the Corrections Officer Exam, click the “Jobs & Careers” option from the menu on the left hand side of the Learning Express main-page. From the new menu that appears, click on “Law Enforcement” to expand the menu choices. Next, click on “Corrections Officer Exam Preparation”. You now have access to the Corrections Officer Exam study tools. Other sections of this site include: resources for adults who are looking to brush up on general skills (such as math, reading, and grammar), U.S. Citizenship preparation tools, and skill building resources for Spanish speakers (including GED preparation in Spanish). To access this resource from our website, click on the “reference” link on the menu bar and select “electronic databases”. 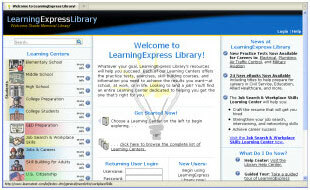 From here, the link to Learning Express can be found in the center of the page. You will need your library card number to register for a free user account at Learning Express Library (type your library card number in the space for user name when registering for an account).